Register to view full property details including contact info, and pricing. View Details! Rent Usually a fixed monthly payment, made by a tenant in return for the right to occupy the property of the owner. Hi, I am writing in regards to the property at *** Main Street, Grafton, VT 05146. Please send me more information or contact me about this listing. Enter full address to find commute time to this property. This property is offered for rent and/or lease directly by its owner. If you are interested in purchasing this property then you should contact the owner directly. Vacation Rental. 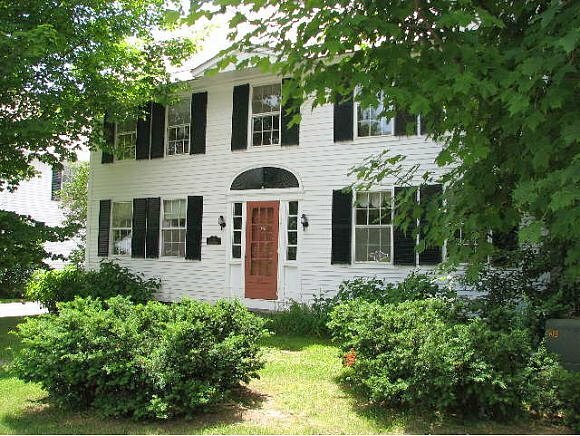 Stately colonial with remodeled kitchen and baths, and all newly redecorated. Four spacious bedrooms nad 2 baths on second floor. Large family kitchen with dining area and adjoining family sitting area with fireplace. Formal livingroom and screen porch finish the first floor. Located in the center of Grafton Village across from the "White Church". Walk to all village amenities Rate reflects one month stay. Rates vary by season.This Houses for rent home is a single family home located in Grafton. It offers in size, 4 beds and 2.5 baths. Review its detailed information and determine if this Grafton Houses for rent has the qualities you are looking for. For traditional mortgage, enter your home loan details and get personalized quotes with today's mortgage rates. All information provided is deemed reliable, but is not guaranteed and should be independently verified. Back To Top Register for Details!